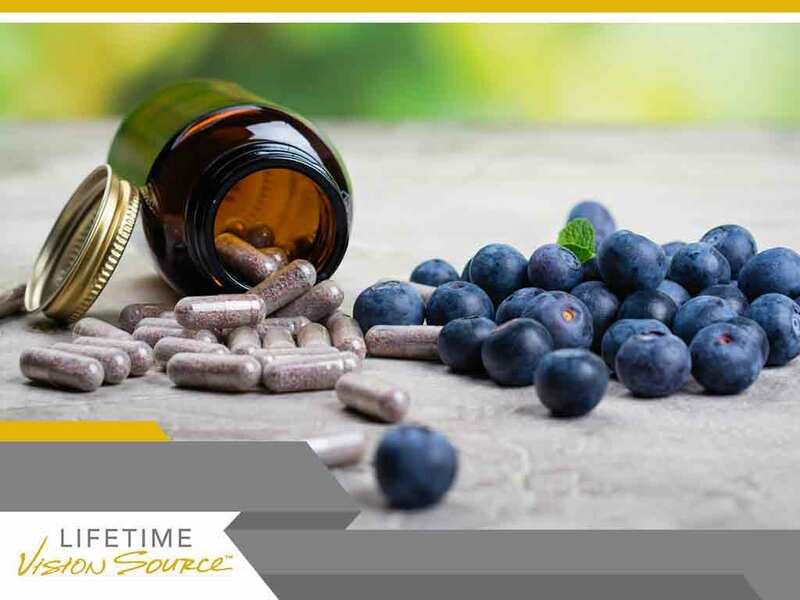 Today, it is common for individuals to take supplements to help maintain their health. In fact, various brands of eye supplements, which are products that contain various eye-healthy vitamins and minerals, are becoming popular. While many eye supplements have no approved therapeutic claims, most of their benefits in keeping your eyes in good health are backed by scientific evidence. Read on as Lifetime Vision Source, your provider of contact lens exam and other reliable eye care, talks about some of the most common eye supplements. High levels of docosahexaenoic acid (DHA), a form of omega-3 fatty acid, can be found in the light-sensitive cells in your retina. DHA plays a large role in maintaining your retinal processes and functions. It also helps control inflammation, which leads to faster healing and repair of damaged eye tissues. Deep-water fish, such as tuna, salmon and mackerel, are excellent sources of omega-3 essential fatty acids. If, for any reason, you’re unable to eat this kind of fish, we may recommend taking omega-3 eye supplements. Your vision center shares that zinc is a mineral that’s rich in antioxidants, which help protect your eyes from cellular damage. In fact, it is one of the primary components of a drug formulation that’s recommended for those diagnosed with age-related macular degeneration. Thiamine is also known as the “anti-stress” vitamin. Because of its potent anti-inflammatory properties, it is often part of the treatment plans of individuals with uveitis or other inflammatory eye conditions. We may also suggest taking vitamin B1 supplements if you’re at risk of having cataracts. Lutein and zeaxanthin are carotenoids that are found in your retina. They help absorb harmful light that emit high-energy levels, such as ultraviolet rays. Kale, spinach and other green leafy vegetables are good sources. If you aren’t fond of eating leafy greens, your eye doctor may prescribe eye supplements containing these carotenoids. These supplements are meant to add, not to replace, nutrients that you get from healthful foods. This means that taking eye supplements alone cannot guarantee that your eye problems will be solved. For best results, schedule an appointment today by calling us at (701) 864-3777. We serve Medina, Valley City and nearby ND areas.